Dan Bloom JD, LSW è uno psicoterapeuta che pratica attività privata a New York City, curatore di libri, scrittore, supervisore clinico, docente di psicoterapia. Dan è stato formato da Laura Perls, Isadore From, Richard Kitzler e Patrick Kelley nel New York Institute for Gestalt Therapy. E’ Past President e membro del New York Institute for Gestalt Therapy. 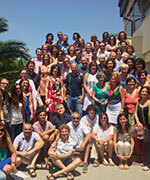 Dan è anche presidente della AAGT (Associazione per l’Avanzamento della Gestalt Therapy), una community internazionale. Dan è membro della facoltà del New York Institute for Gestalt Therapy, è professore aggiunto del The Center for Somatic Studies, Gestalt Associates di New York, dell’Istituto di Gestalt HCC Italy di Siracusa, Palermo, Milano, e della facoltà internazionale Gestalt therapy Sydney, Australia. Inoltre insegna e fa supervisione in modo indipendente a terapeuti della Gestalt. E’ Co-direttore della Rivista online Gestalt ed è stato Editor-in-Chief di Studies in Gestalt Therapy: Dialogical Bridges, una rivista che fa dialogare la terapia della Gestalt con gli altri modelli psicoterapeutici. Fa parte del comitato editoriale della Gestalt Review. Dan ha pubblicato diversi articoli e capitoli in numerosi libri sulla terapia della Gestalt. Attualmente divide il suo tempo facendo supervisione, insegnando, pubblicando e scrivendo, è inoltre impegnato a sviluppare la teoria e la pratica della psicoterapia della Gestalt in nuove direzioni. Dan Bloom JD, LSW is a psychotherapist in private practice in New York City, editor, writer, clinical supervisor, and psychotherapy trainer. Dan himself trained with Laura Perls, Isadore From, Richard Kitzler, and Patrick Kelleyat the New York Institute for Gestalt Therapy. He is past president and Fellow of the New York Institute for Gestalt Therapy. 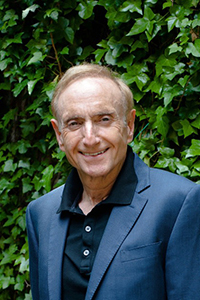 Dan is also past president of the Association for the Advancement of Gestalt Therapy, an international community. Dan is a faculty member of the New York Institute for Gestalt Therapy, and adjunct faculty of The Center for Somatic Studies, Gestalt Associates of New York, New York, Istituto di Gestalt HCC, Syracuse, Italy, and international faculty Gestalt therapy Sydney, Australia. He also independently trains and supervises gestalt therapists. He is Co-Editor of the online journal Gestalt and Editor-in-Chief of Studies in Gestalt Therapy: Dialogical Bridges, a comparative journal of gestalt therapy and other psychotherapeutic modalities. He is on the editorial board of the Gestalt Review. Dan has published many articles to gestalt therapy journals and contribute chapters to gestalt therapy books. He currently divides his time supervising, teaching, editing, and writing and is committed to developing the theory and practice of gestalt therapy in new directions.